Two huge, public-facing companies are facing strike action as I write: Eurostar and British Airways. Of the two, the latter is obviously the most concerning for the one million people expecting to hop on a plane this Christmas, but both companies have been well and truly let down by their employees. I have little interest in unions. While they undoubtedly have their benefits, they only seem to cause misery both to the economy and the general public. I can’t think of a strike in the last ten years that I’ve agreed with. They are nearly all futile, irritating and massively disrupting affairs. We all know the basics of the BA strike action, so I won’t bore you with it again here, but I will give you my opinion. At some stage in our working lives, we’ve all been in a position where we feel hard done by. Underpaid, over-stretched, bullied by management, forced to accept unfair changes to working conditions or practices … the list can go on. I for one, however, have never considered walking out. I’ve always strived to make the most of the situation or take it up objectively with those above me. And it’s always worked. Striking, in most cases, is akin to sticking your thumb in your mouth and locking yourself in your bedroom. It’s is immeasurably childish. I used to do it on a regular basis as a kid if my mum asked me to do something outside of my remit; i.e. something productive, not involving Transformers. Those BA staff that voted for the strike should be ashamed of themselves. Needless to say, the 12 days of Christmas they’re hoping for are going to not only ruin their customers’ already dented opinion of BA but, more importantly, cause massive financial heartache for the already cash strapped company. 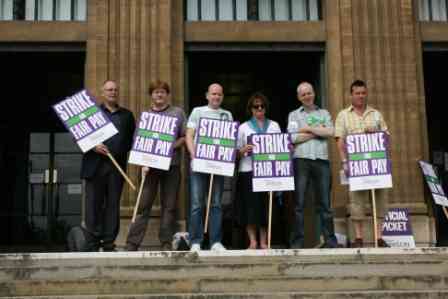 Reports suggest it could lose around £30m a day if the strikes go ahead. Some of the biggest banks in the world have already proved that there isn’t a business in the land that is immune from going bust … need I say any more? I stand firmly on the side of the unfortunately named Willie Walsh, on this one and hope that the hopefull travellers bashing the F5 refresh key in the hope of some good news get just that.